Last week (well, the 17th of february already, but didn’t have much time to make a picture and post something here) my watch arrived. I really had a hard time choosing a new watch… Another Panerai with a black dial, a vintage Submariner (ref.1680) or a new GMT-Master II. I used to have a ref.1675 GMT-Master, but I didn’t want to wear that one on a daily basis. However, the voices in head told me that I really needed a GMT-Master again. So I ordered one at my watch dealer and it didn’t take too long before it arrived! 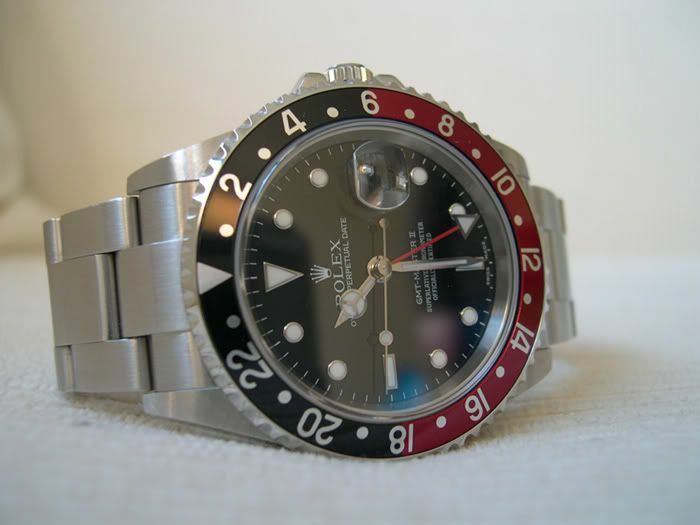 This Rolex GMT-Master II ref.16710 is a 2006 model (with the new box and no holes in the case anymore).